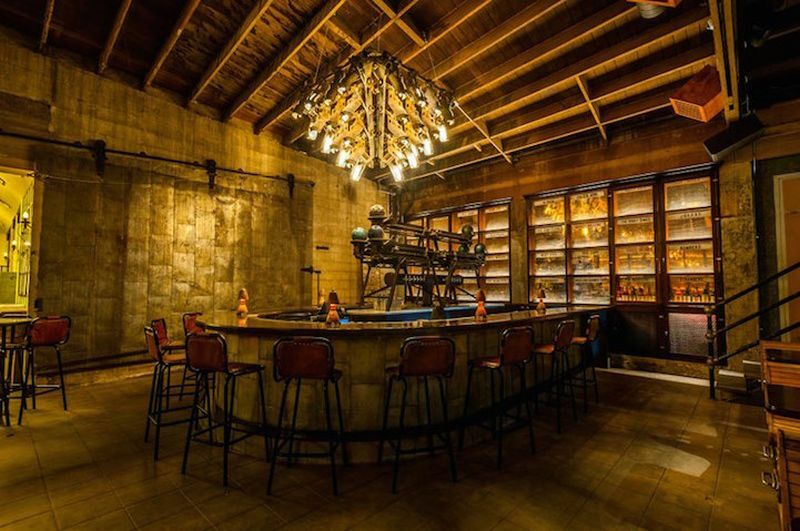 The 1933 Group is an architecture studio with a simple and interesting goal: to change the face of L.A. by creating refined drinking locations in various neighborhoods. 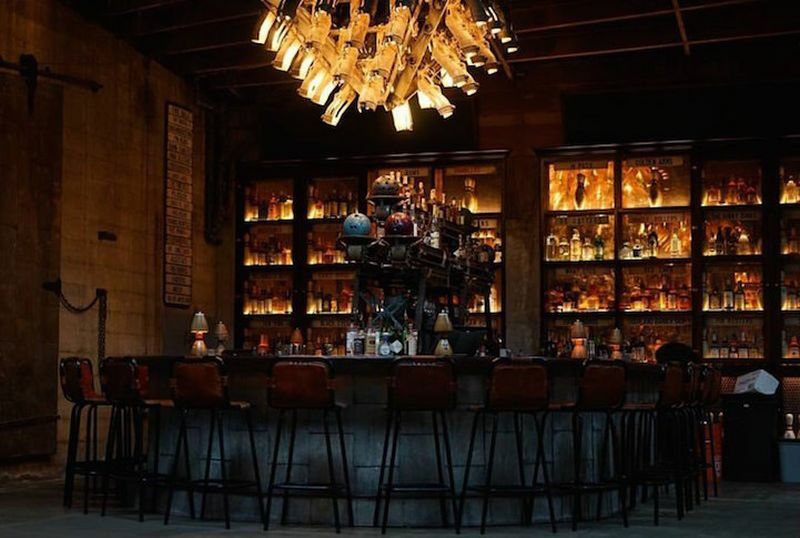 They’re guided by a unique design aesthetic and they always manage to impress with wonderful adaptations of the past and present. 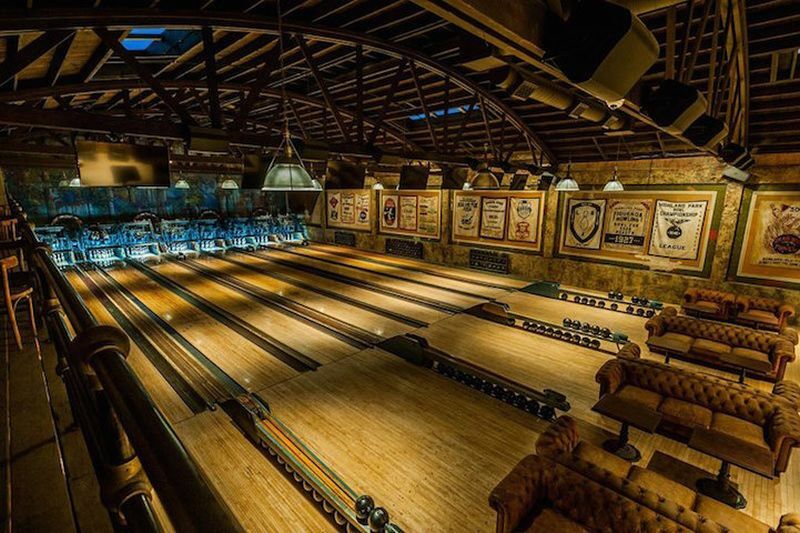 One of the studio’s creations is the Highland Park Bowling, a unique combination between a bowling alley and a bar. 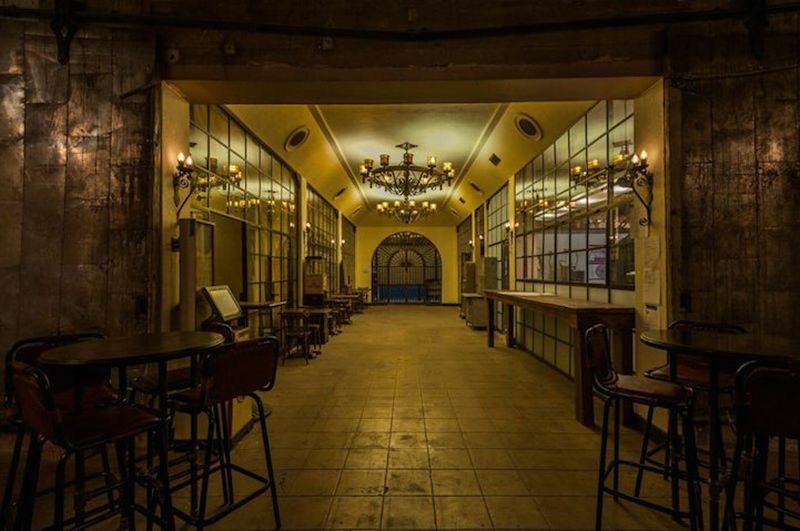 It originally opened in 1927 in Los Angeles and then in the 80s and 90s it became a music venue for punk shows. 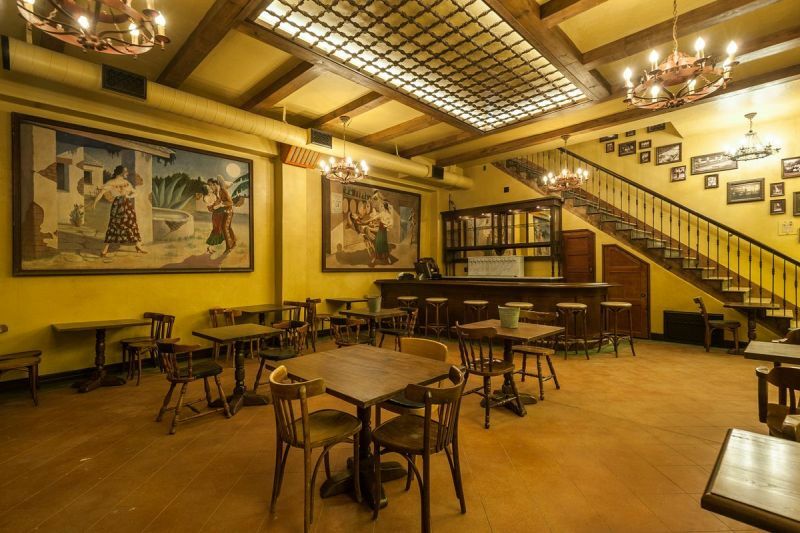 In April 2016 the refurbishment was completed by 1933 Group. 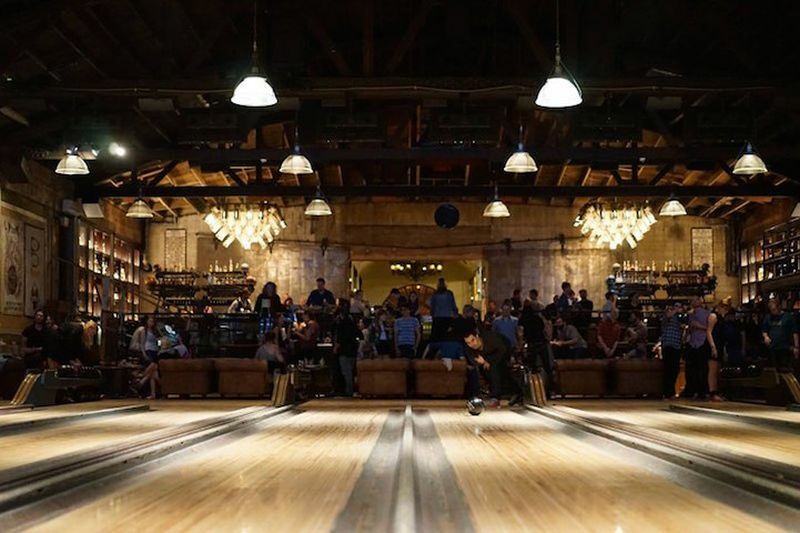 The goal this time was to blend the three functions and to allow this wonderful location to serve both as a bowling alley and a bar and music venue. During the process, a lot of the original features were exposed. 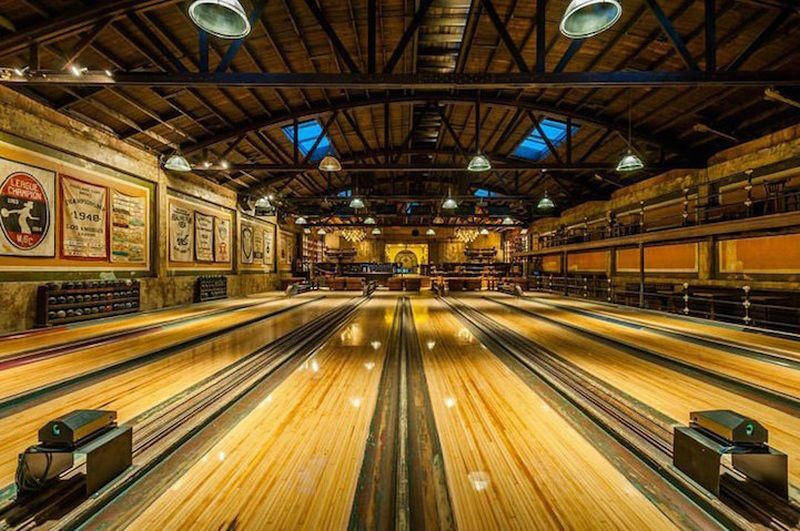 The architects uncovered a massive mural that now serves as a backdrop for the bowling lanes and also exposed the original skylights and pin machine which they transformed into chandeliers and bar shelves. 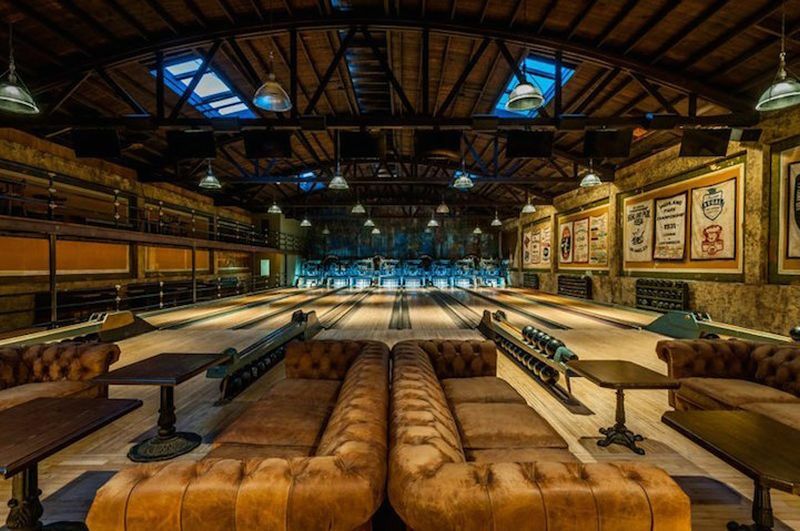 By exposing the original interior of this place the architects revived its harm and personality and were able to create a new and unique style that transports everyone to a past era for the night. The design is playful and nostalgic. 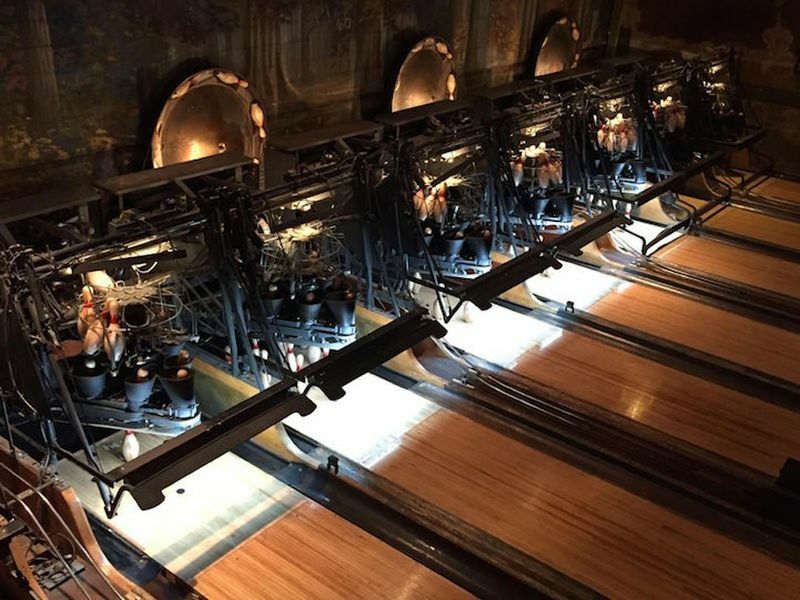 The vintage revival vibes and steampunk décor go hand in hand. 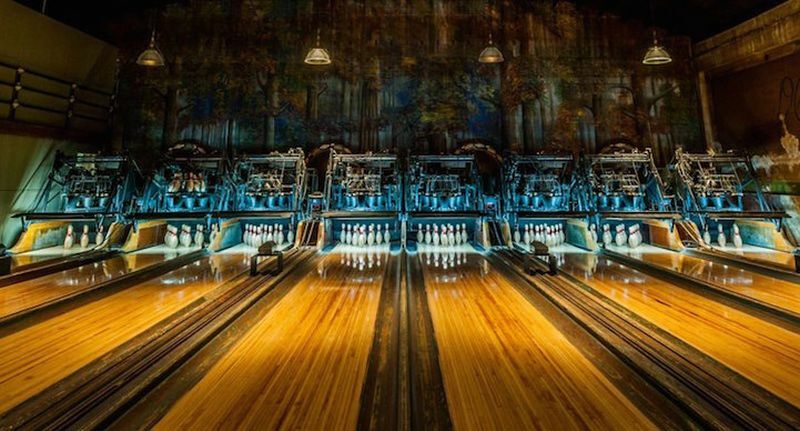 The walls were decorated with old banners and the place became a playful and interesting gathering place for bowlers, diners and music enthusiasts. 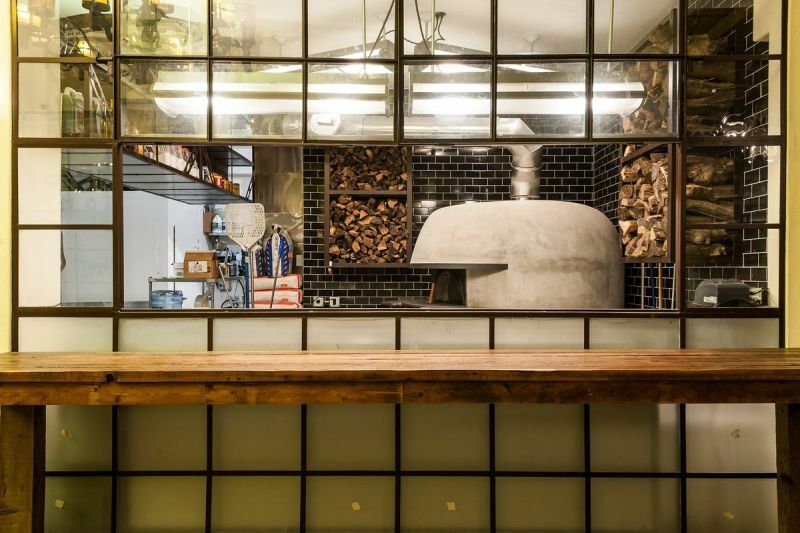 There’s now a kitchen with an Italian wood-burning stove that serves delicious food and a bar where cocktails with names inspired by the building’s history are served. The whole space was restored and revitalized. Existing features and elements were preserved and sometimes repurposed and a few new ones were added. Comfortable sofas with tufted upholstery and vintage designs offer comfortable lounge areas, being complemented by rustic-industrial coffee tables. 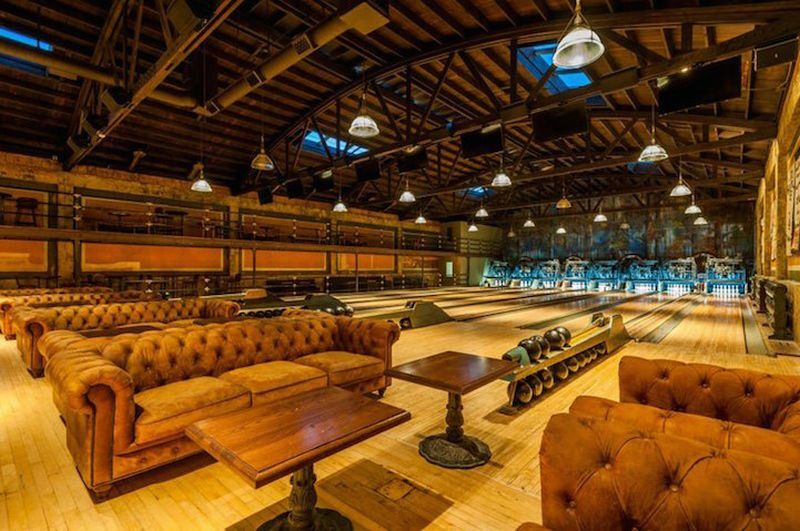 The exposed ceiling beams and pipes reinforce the overall industrial and steampunk look of the place while the skylights add a fresh touch to the décor. 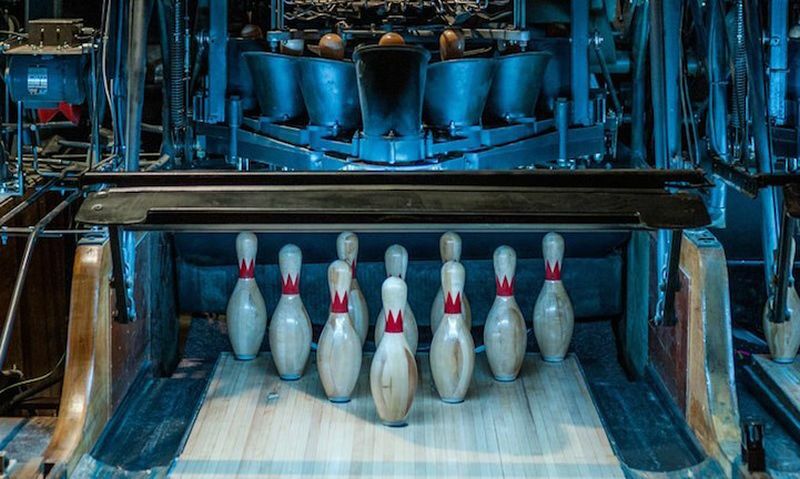 The Highland Park Bowling Alley is something different, a location meant to stand out and to attract a certain type of guests and clients, a venue that combines multiple functions into one and offers a taste of past beauty and style. 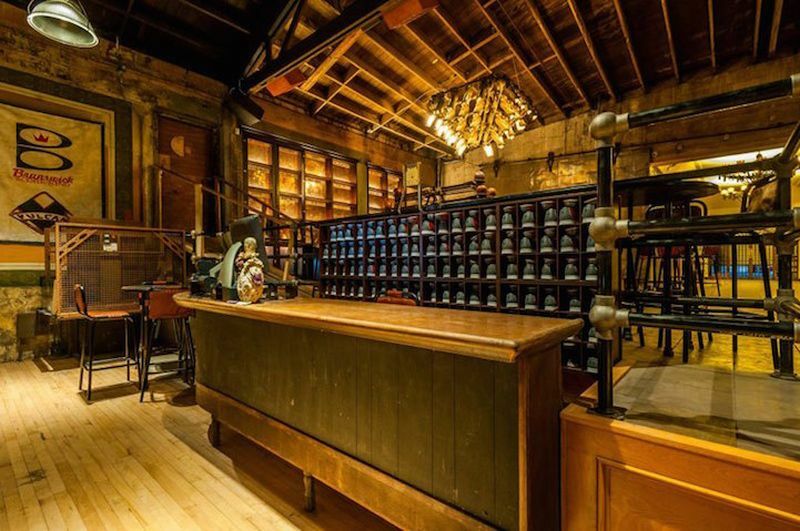 This project is also a great example of how historic buildings and designs can be preserved and kept alive without damaging their character. The unique design approach makes locations like this one stand out and gain their own unique character. Some things are worth preserving and this is a wonderful example.